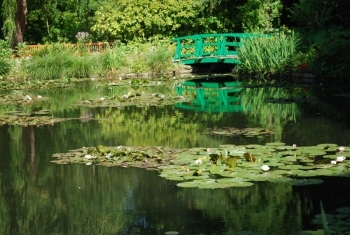 The dock offers good views on the small bridge over Monet’s pond at Giverny. 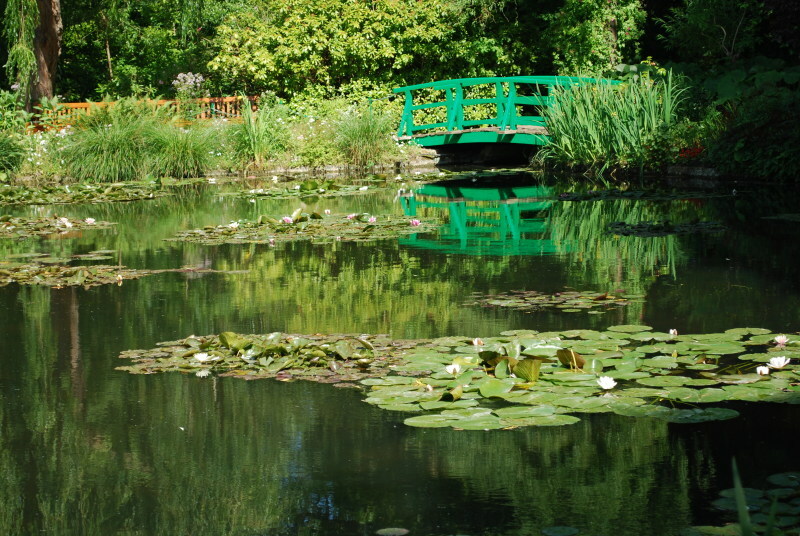 There are six bridges in Monet’s water garden, the biggest being the one Monet painted so often. But the smaller bridge at the other end of the pond is very charming also. This side of the garden is bathed by the sun in late afternoon. The warm light generates beautiful reflections on the surface. One would like to do like Monet, just sit down and gaze at the water for hours, scrutinising the changing colors of nature.